“Every summer in my Brooklyn neighborhood, there’s a seasonal tradition of live drumming on the streets. As soon as it gets warm out, a group of elderly men from various countries in the African diaspora get together with congas and djembes and beat their hearts out outside of my window all day and night,” Owo told OkayAfrica. 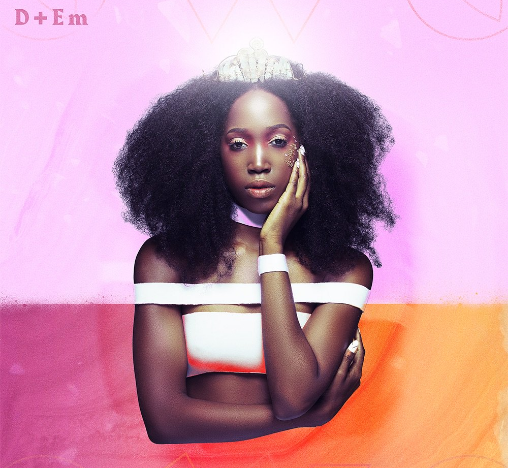 Meet Owo, the Nigerian singer and songwriter who infused African drum beats and emotions into her latest EP- D+Em: drums and emotion. To say that I am overly proud of Africans in the diaspora and how hard and seamless their efforts to spotlight the African culture is, would be a tone toounderrated. “Their drumming became the inspiration for making this new project. Inspired by their rhythms and my personal emotional baggage, I wrote songs and started to put together tracks blending afro, electro and R & B sounds which would become the bulk of this project”. While the EP features a selection of percussion-fueled, and often, dance-worthy beats, the lyrics reflect a heavier mood—one that the singer contends with throughout the EP, but ultimately comes to understand. Listen to the D+Em EP below; and just in case you were going to ask, my favourite tracks are Kingdom, With You and December.